Antiquity meets anarchy in Gucci's Pre-Fall 2019 campaign. 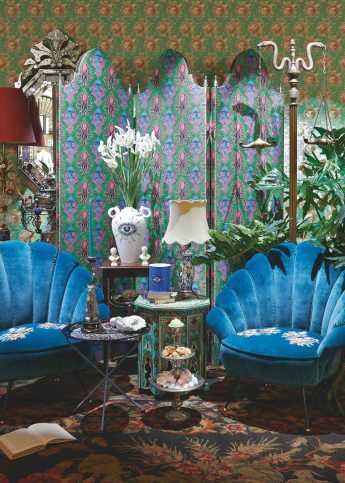 Gucci has opened a décor temporary store in Milan, and tbh, it's your fantasy living room. Meet your new essential summer bag, the Gucci Zumi. Formulate your own fragrance and float away to a Guccified garden with The Luxury Collection: The Alchemist’s Garden. 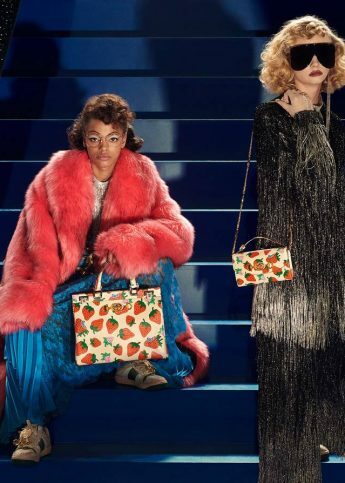 Gucci stage a Hollywood musical-inspired showstopper for their SS19 campaign. 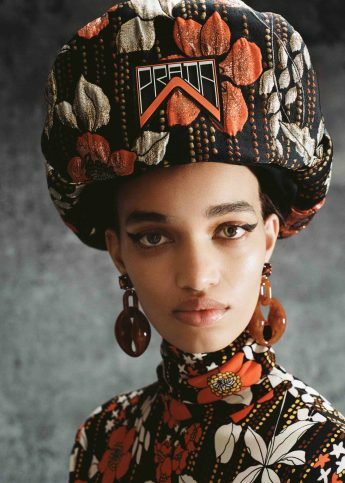 Brocades and bubble writing: Miuccia Prada has found the winning formula for fun in Resort 19 with this fashion editorial. 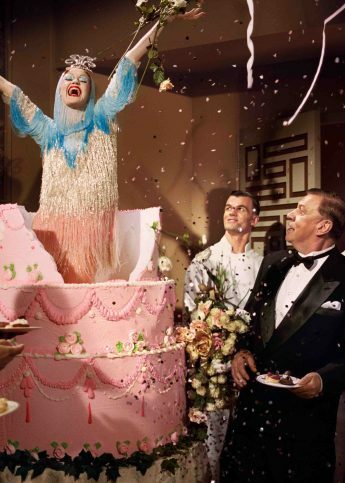 Cult director Harmony Karine has collaborated with Gucci for a snack-filled limited-edition book. Michigan model Olivia Forte covers the Winter 18/19 issue in the ever-eclectic Resort 19 collection. 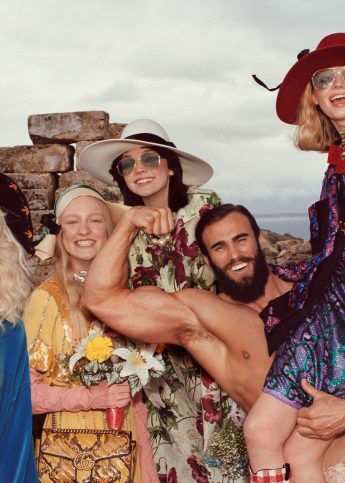 Watch our dreamy take on the Gucci tribe at London's Wallace Collection. Gucci and Frieze get into Detroit techno with British-Nigerian filmmaker Jenn Nkiru for their Summer of Love series. The British star gets to grips with farm-life for the new Men’s tailoring campaign. The brand has now collaborated with photographer Martin Parr for an Insta-only project. A documentary on 80s youth culture has been commissioned. Collectors, hoarders and oddballs unite for the Winter 2018 campaign. Harry Styles + a puppy + Gucci = heaven? To Harlem for romance designed by Gucci’s Alessandro Michele. To Harlem for romance designed by Gucci’s Alessandro Michele: a preview. The AW18 shows that proved too good to be true. Alessandro Michele taps the artist for new Absolute Pour Femme campaign. The house taps Ignasi Monreal for SS18. Alessandro Michele pays homage to Elton John in a characteristically captivating show. Mick Rock lenses the fashion house’s latest campaign. The boy likes what the boy likes. The fashion powerhouse take us on a trip to outer space. The brand announces the launch of a fabulous new homeware collection. Gucci taps illustrator Angelica Hicks for tee collab. 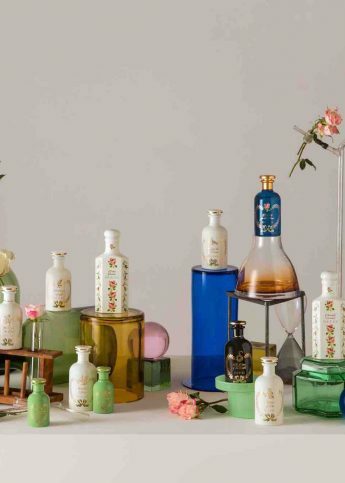 Alessandro Michele makes his fragrance debut.